Who is your kegemaran SHIELD actor? What did anda think of 5x21 - The Force of Gravity? I remember a joke "He showed her his Virginia" spoken sejak Coulson. Which episode? I can't find it. who do anda think the guy with no eyes is? Below is a senarai of my bahagian, atas kegemaran episodes from Season Four of Marvel's "AGENTS OF S.H.I.E.L.D.". I have been aware that a good number of Marvel peminat-peminat have been in a tizzy over the Grant Ward character from "AGENTS OF S.H.I.E.L.D.". But I had no idea that this "celebration of toxic masculinity" would lead to some misleading papar atau "
I might as well put my cards on the table. 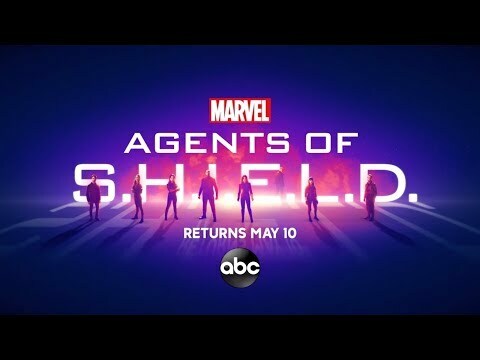 I did not like Season Two of "AGENTS OF S.H.I.E.L.D.". In fact, I almost despised it. But what I despised even further is this belief among Televisyen viewers and critics that Season Two was an improvement over the series’ first season. This told me that today’s society has no real concept of what constitutes good atau bad storytelling. Ever since the saat season of Marvel's "AGENTS OF S.H.I.E.L.D. ", many Televisyen viewers and critics have waxed lyrical over their belief over the series' improvement from Season One. And yet . . . the ratings for the tunjuk seemed to reflect differently from this view. Regardless of the opinions of others atau the ratings, I have my own papar about the show's Season Two. The series just killed off Antoine Triplett, the character portrayed sejak B.J. Britt. The other black character on the show, Alphonse MacKenzie, is currently some kind of Inhuman zombie. The ironic thing is that both B.J. Britt and Henry Simmons were seriously underused this season, and Mutant Enemy fucked them over even lebih in the past two episodes. Ohmigod! Did "AGENTS OF S.H.I.E.L.D." lose its sense of humor? I realize that the tunjuk is supposed to take a darker turn, but they seemed to be overdoing it. Ever since the middle of Season One of Marvel's "AGENTS OF S.H.I.E.L.D. ", there has been a fandom dedicated to the relationship between two of the series' characters: former hackivist/turned S.H.I.E.L.D. agent Skye (no surname mentioned) and Agent Grant Ward. And despite the amount of attention dedicated to this potential romance on the Internet and in the media, I have found myself wondering if I should support it atau not. How many nominations did the tunjuk receive in the 40th People's Choice Awards?